Businesses today need to take advantage of every conceiveable angle and opportunity to stack the deck in their favor if they are to become major players in their industries. One often-overlooked tactic is to utilize compensation, not as a traditional reward and recognition system, but as a strategic tool. 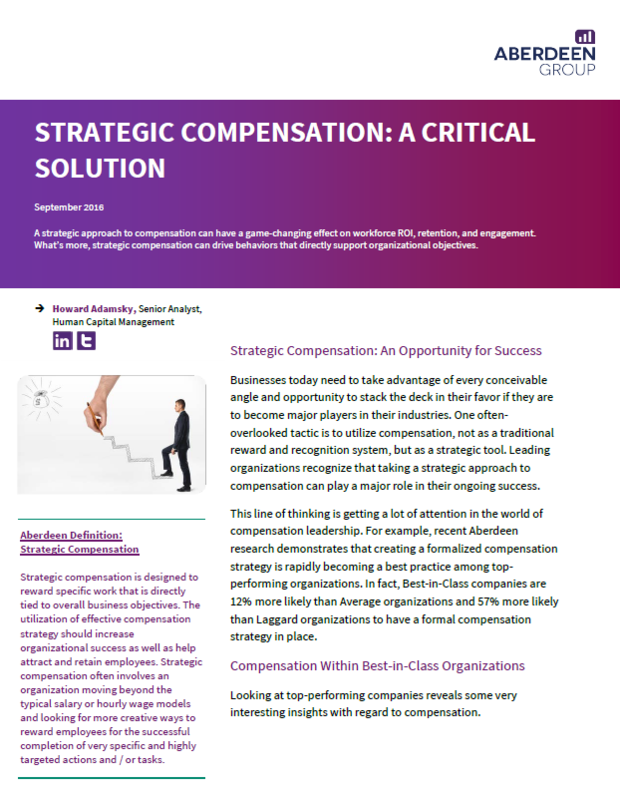 Download this reseach by Aberdeen Group to learn best-in-class compensation practices and more.